A chic and ingenious business card that will sweep your clients off their feet! The designer perfectly described his work of art as very simple and timeless. The DNA Development Business Card is not your typical business card. It is a rare type of business card owing to the fact that a different material was used for this card. Silkscreen was needed for the white ink, plus the copper foil for the logos for both sides of the card. Butterflies are considered the queens of flowers. The wings in the Delainie’s Social Butterflies Business Card represents welcoming, support, caring, and embrace. The butterfly icon is built from the initials D, S, and B, mirrored to reveal a heart shape which represents the soul of the organization, Delainie herself. The inviting and inspiring nature of this identity suite is symbolic of the inspirational journey of an amazing child and Delainie’s legacy. The organization was created in memory of the brief, yet inspirational journey of Delainie Simpson, a medically complex child who touched the lives of everyone she met – this is her legacy. Neat, simple, yet so stunning! These words will just come out of your mind the moment you’d see this Darlington Holiday Warehouse Business Card. The vibrant colors manifest the spirit of the Holiday Season since Darlington is a local seasonal holiday store. They’re only open three months out of the year (October to December) and sell most items at only $1.69. It is particularly significant to emphasize the information printed on the business card which explains the simplicity of the layout. What sets this business card apart from the traditional card is that the layout is vertically patterned. These cards are printed on 16pt matte paper, double sided. Have you been wondering how your own logo from your initials would look like? The Dan Saita Business Card gives you an exceptional business card that will show your target clients a glimpse of your personality or the vision of your company. The neutral tone magnified sophistication to the texture of the card. Only extremely essential information are printed on the card. In this way, the business card layout will not only capture your clients’ hearts but also, they will easily recognize and remember you. A relaxing, rejuvenating and refreshing business card suits the top rated Ski Resort in Poland. The Czantoria Business Card logo found its inspiration from the two main hills in the resort which gave a very nature-inclined business card. From the way it was done, you can feel the cool breeze from the mountains and the natural scent of the forest. You can feel all of that just by stumbling on this magnificent business card printed on a 400gsm coloured paper with black ink on both sides. Are you outgoing, dynamic and inclined to sports? Well, here is the ultimate business card that matches your lifestyle! It’s fun, easygoing and approachable. Whenever the designer approaches a business card, they look at how the information balances and how well the reader is able to navigate the card. That is why this business card design undoubtedly catches your eye with its polished icon. It uses UV Spot gloss for the pattern on a matte laminate 16pt stock. Our latest discovery about fine business card designs can be shown in this stunning BRVND Business Card design. It brings out luxury and royalty in its minimalist arrangement. It has adequate information to tell you what you need to know but has the ability to let you be interested in the company by just seeing this business card design. The simplicity of the business card focuses your eyes solely on what is written. This exquisite card design is digitally printed with white ink on black paper stock 400gsm. Safe, determined, goal-oriented. These are the first impressions you’ll get just by seeing the Cancer Targeting Systems Business Card. CTS or Cancer Targeting Systems is developing a new approach to cancer care, through innovative products that combine imaging and treating cancer, enabling clinicians and patients to make clearer choices. 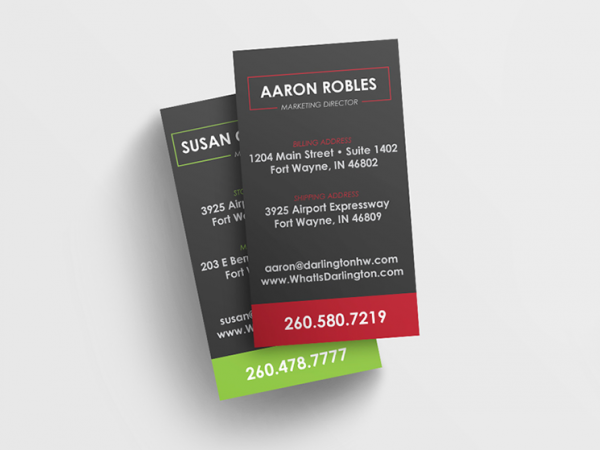 This business card design will make you look trustworthy and reliable to work with. This fresh quintessential work of art is a design that can never go wrong. In many ways, a business card will convey your company’s culture and vision. This fun and exciting Compleat Software business card is designed as part of the brand identity for Compleat Software. It highlights some of the most effective elements of the brand as a whole, like the vibrant purple colour and the icons are used throughout their brand to represent their cool benefits and dynamic services. This savvy card design will give you friendly yet professional vibes that you can trust. The design speaks of clear, simple yet efficient service which makes you stand out from the rest. Are you clever yet creative? Maybe smart but innovative? The Biological Society “Dr. Sava Petrović” Business Card shows both sides of perfection. This graceful but sleek card design suits the citizen association composed of biologists, biology students, nature advocates and all people who drawn to nature. The card design that highlights a classic modern minimalist concept can show your clients the intelligence and elegance that you have. Your business card will not only capture their attention but also it will make you look very sophisticated and dedicated. Are you looking for a business card that shows clean and professional, but also energetic and playful? This Alexis Gallardo Business Card design is perfect for those who loves styling, blogging, traveling and marketing. The fun, yet sophisticated logo that focuses on Alexis’ obsession with the beach and palm trees, but the designer also kept the aesthetic refined. The color palette is flexible with options of solid pastel blue, yellow or orange, as well as a gradient of the three for certain usage scenarios. The primary mark is stamp-esque and can be paired with the wavy logotype as an additional identifying element when necessary. Aperçu Apparel Business Card is a story teller that blends in every personality. You may think it is just a simple business card, but wait until you discover what is the story behind it. Aperçu Apparel tells remarkable stories worth sharing to the world. Every item they produce carries a piece of their philosophy, translated into an illustration. Their stories are printed on t-shirts, sweaters, and other apparel. Every piece of apparel hosts both a story in text and an illustration that amplifies the words. Giving every prominent story a place in modern day street wear.